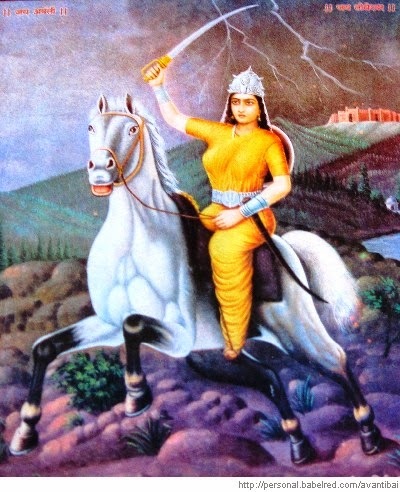 Rani Avantibai was one among the early women rulers who daringly rebelled against the mighty British Like Rani Lakshmi Bhai and Velu Nachiar, queen of Sivaganga,Tamil Nadu. Raja Vikramaditya Singh, the ruler of Ramgarh State, died leaving behind his wife Avantibai. She was a Lodhi-warrior-queen of Ramgarh in Mandla District of Madhya Pradesh. As there was no legal heir to the throne, the British annexed her kingdom in 1851 under the doctrine of lapse introduced by wily Lord Dalhousie. You may recall this tricky doctrine did not recognize legal adoption of heir under the Hindu rites. Considering Avanti Bhai's widowed status, the British rulers were unsympathetic towards her. This disgusting and sickening act angered the queen. Not only did Avantibai vow to win back her land from the British, but also got into action by raising a powerful army of four thousand trained soldiers with ample support from local zamindars (land lords) and rulers and personally led it against the British in 1857. Though initially she succeeded in subduing the British army in the war, in the subsequent encounters, she and her able army were unable to contain the British. The British had far superior fire powers and efficient war weapons. Facing imminent defeat, she did not want to take the risk of getting caught by the British and punished by them. All of a sudden she took out the sword and killed herself on 20 March 1858, thus becoming yet another one among the women martyrs of India who sacrificed their lives to free India from the unjust and tyrannical British rule. coast guard ship Rani Avantibai.www.thehindu. 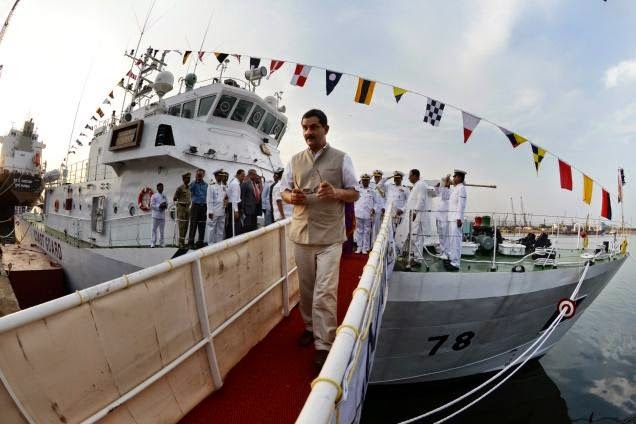 At Visakhapatnam in the 2nd week of May 2013 a coast guard ship was commissioned in honor this great valiant queen Avantibai. The Central government already honored her by releasing a Postal Stamp in her honor. In Jabalpur District, a dam is named after her in her memory.